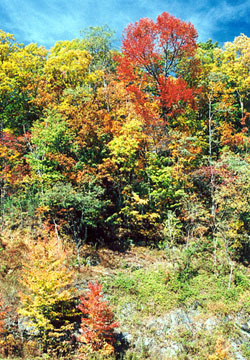 Wiggington Road or SC 413 connects SC 107 with SC 130 and serves as a scenic short cut from the Sloan Bridge Picnic Area on SC 107 to Whitewater Falls on SC 130. 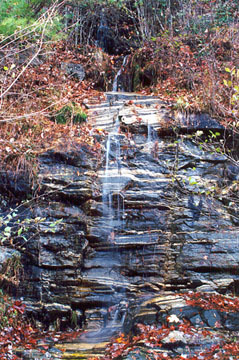 This small, low volume cascade occurs roadside just east (toward SC 130) of the Lake Jocassee overlook. The cascade is not attraction here, but the view of the South Carolina foothills and piedmont from the overlook. Directions: To reach the eastern end, drive SC 11 east past Tamassee, SC to Salem, SC at the intersection of SC 11 and SC 130. Look for signs directing you to Whitewater Falls. From that intersection, turn left and drive 10 miles up SC 130 to SC 413 on the left. If you reach the Duke Power Bad Creek Project or go into North Carolina, you have gone too far. To reach the western end from Walhalla, take SC 28 north to SC 107. Turn right and follow for 16 miles. SC 413 turns to the left toward Whitewater Falls just before you reach the Sloan Bridge Picnic Area on the right. 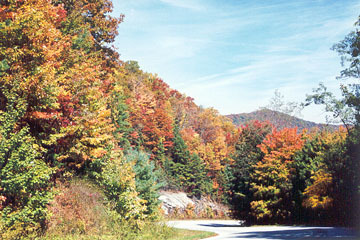 From Cashiers, take NC 107 south for nine miles, cross into SC and look for the parking lot and picnic area on the left. Continue another .5 mile to reach the lefthand turn for SC 413 toward Whitewater Falls. From either direction, drive about a mile to reach the Lake Jocassee overlook.